Whether you are looking for a new install or a 1 phase to 3 phase upgrade we are here to help service your needs. We can make your electrical service upgrade in Fairfield quick, easy and stress-free. Are you looking for a level 2 electrician or a residential electrician? Here at HP Electrical Contractor, we are a Level 2 Accredited Service Provider. We are based in Fairfield East – South Western Sydney NSW and service home owners and builders in all areas of the Sydney region including Western Sydney, Liverpool, Wetherill Park and Fairfield NSW, in all aspects of level 2 service providing needs. It is common to run into a situation where you do not have enough power and you need to increase the power at your home. 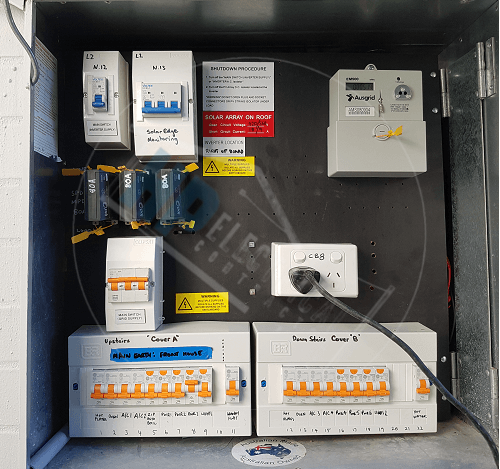 If you are in need of a 1 or 3 phase upgrade or need any electrical meter installed our electricians are able to perform an electrical service upgrade Fairfield. We strive to achieve satisfaction guarantee. We complete all jobs as if they were our own no matter what service we are providing. If you have a job that can be finished in one day, we will finish it in one day. We will not drag your job out and put any unnecessary stress or cost on you. Some jobs are able to be done in just the switchboard while other jobs have to be done in the switchboard plus consumer mains to the overhead or underground cable. No matter what electrical service upgrade you are looking for we can help. Once we are finished with your electrical service upgrade all the rubbish will be taken away so you won’t have the hassle of getting rid of it. We will also label your switchboard so there doesn’t have to be any guessing in the future. If by chance, we happen to come across an asbestos panel we will remove it and replace it safely. We highly believe that you get what you pay for. 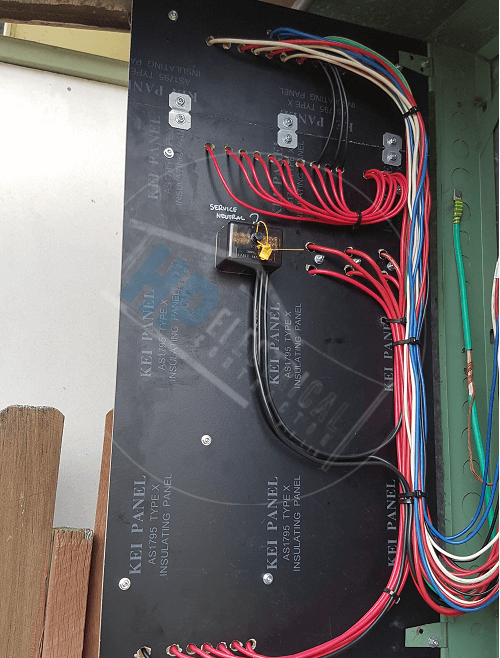 So, when you are pricing your electrical service upgrade take into consideration the quality of workmanship and the finished product because not all services are created equal. And we know you will be satisfied with our final product. Call for a free quote today, on 0431720172. Here at HP Electrical Contractor, we can take care of your electrical service upgrade needs in Fairfield and you will be 100% satisfied.